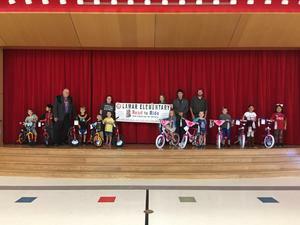 Lamar Elementary Kindergarten and First Graders have been working hard this semester to turn in reading logs for a chance to win a bike in our Read to Ride Program. Our winners this year are Rifter Thibault, Gonzalo Jauregui, Landon Kidd, Owen Lively, Jake Schramm, Raleigh Rucker, Zoiee Belyeu, Lilith Vangiesen, Abigail Ramos, and Evelyn Cosme. Congratulations! 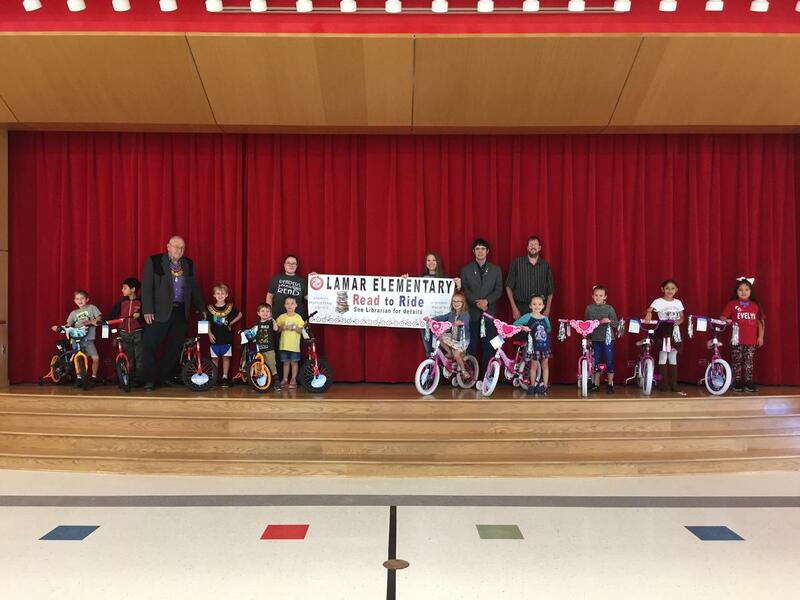 Lamar Elementary School greatly appreciates this partnership with the Knights of Pythias who generously donated bikes and helmets to these hard-working students. Students are pictured with Knights of Pythias representatives, Kira Buck, school librarian, and Kendra Fowler, Principal.